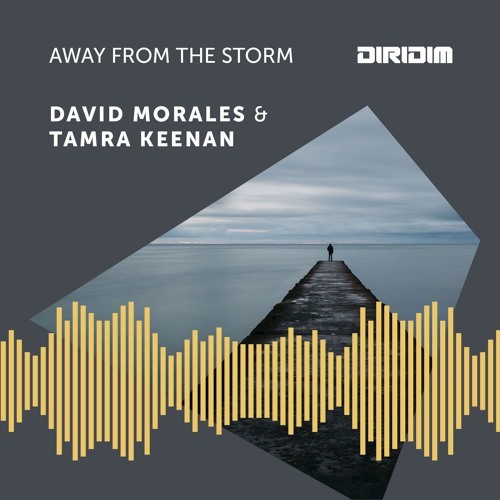 "‘Away From The Storm’ is the new release from David Morales & Tamra Keenan, available on DIRIDIM Records from 28 March exclusively via Traxsource, and then all stores from 5 April. ‘Away From The Storm’ is the latest in a series of releases in 2019 from the legendary electronic music producer. The new single comes in the form of 5 mixes – radio edit, DIRIDIM mix, Red Zone mix, Disco Madness mix, and the Stormy mix. Vocals come courtesy of Tamra Keenan, the Irish singer who’s previously worked with David on tracks including ‘Here I Am’, and ‘7 Days’."